In 1912 Heinrich Kubis became the first flight attendant. 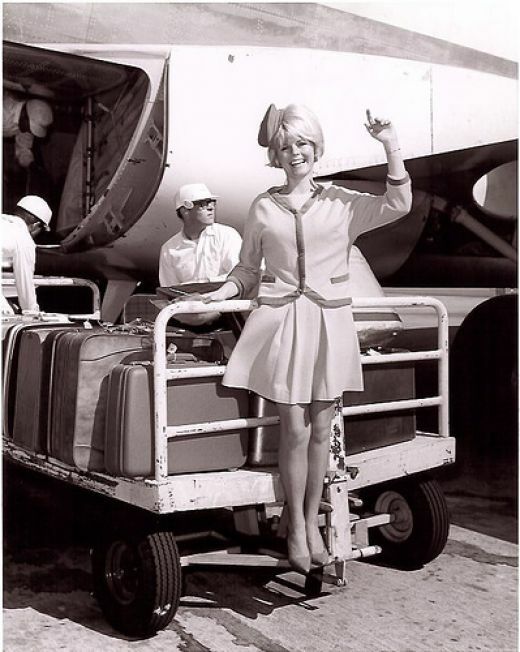 It wasn’t until 1930 that a nurse called Ellen Church became the first female flight attendant or ‘air hostess’. 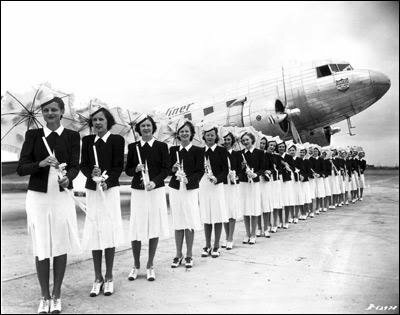 By 1936 women were in the majority in this position, in the same year the New York Times reported “The girls who qualify for hostesses must be petite; weight 100 to 118 pounds; height 5 feet to 5 feet 4 inches; age 20 to 26 years. 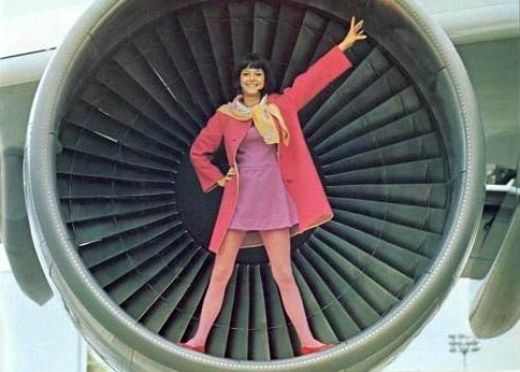 Add to that the rigid physical examination each must undergo four times every year, and you are assured of the bloom that goes with perfect health.” With such patriarchal guidelines it was unsurprising that by the 1960s the air hostess had become a popular sexual fantasy figure. 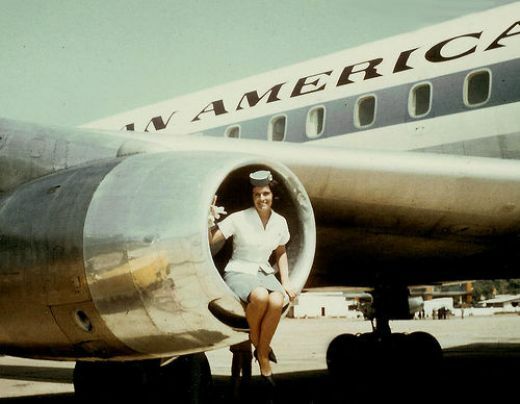 Women applying for this job were abhorrently discriminated against for their appearance (predominately their weight, height and perceived attractiveness) as well as their marital status (in many airlines, only single women were offered the position). Despite this, the career offered an exciting adventure at a time when many paths were closed to women. 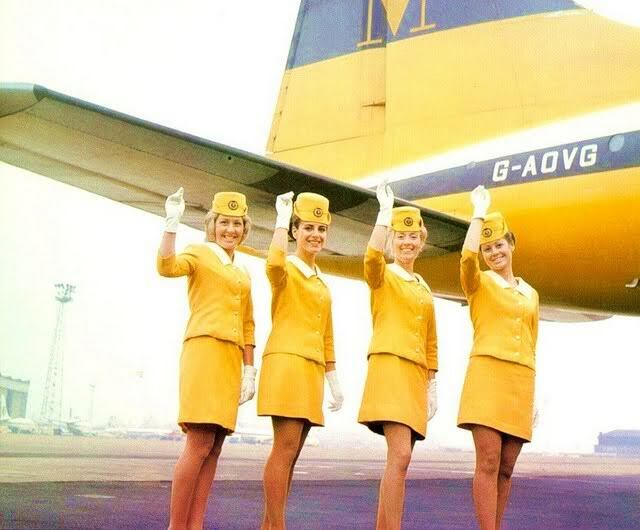 Some air hostesses from the 1960s speak of a ‘golden era’ before regulations were effectively enforced; a Rock ‘n ‘Roll life time of hard-drinking, promiscuity and glamorous locations. 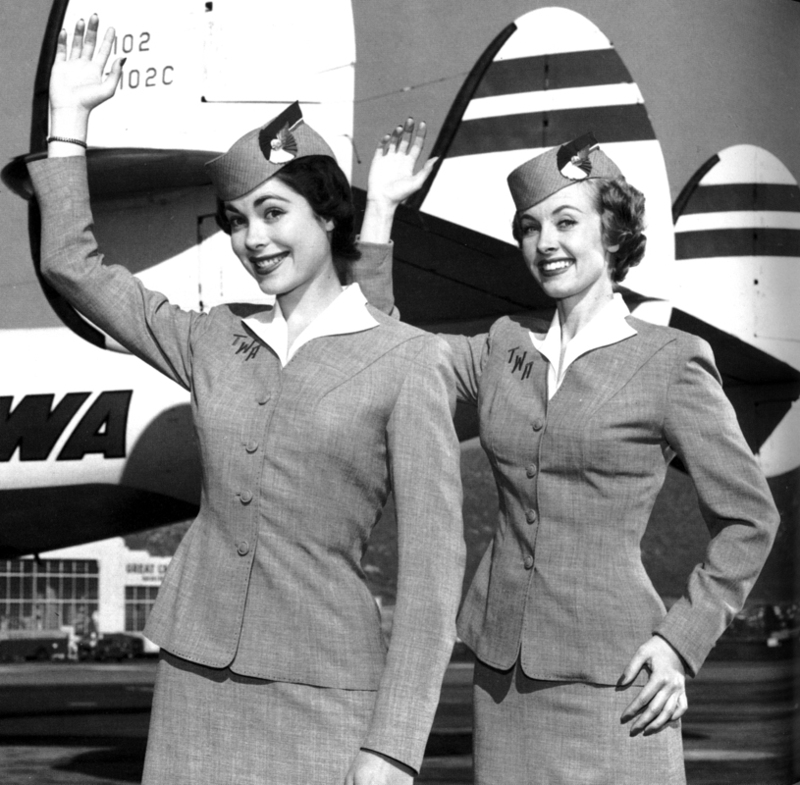 For better and for worse the age of the air hostess is over. Please fasten your seatbelt, close your table and prepare for your flight.